A rarity to start March here at AllBum.Art - a remix of the cover of a Blu-Ray and not a song. 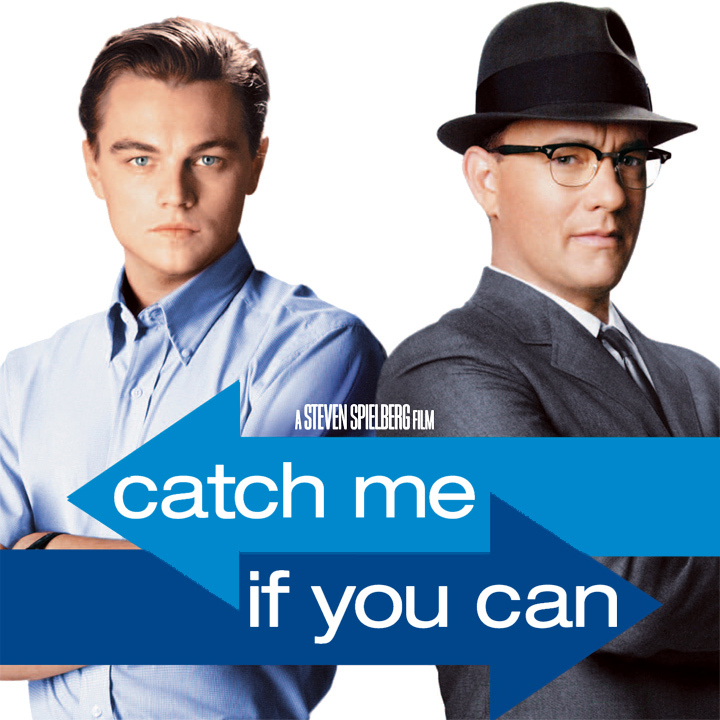 Catch Me If You Can is the 2002 film in which Tom Hanks chases around the country after Leonardo Di Caprio (a.k.a. Frank Abagnale). On the original cover we see the two aforementioned gentlemen standing back to back. On the remix we see a babe who is much harder to catch, as she is running quickly away from us in her sneakers. But not much else. No wonder she doesn't want to be caught... Slippy!